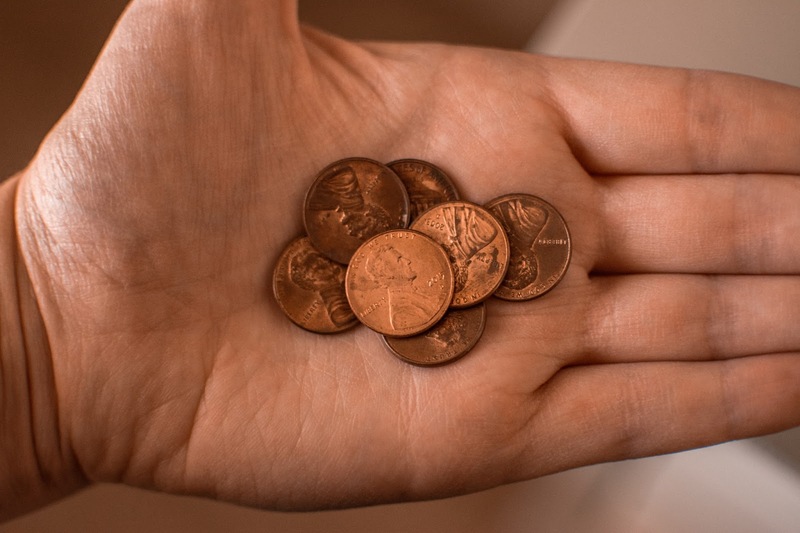 With only one income and a new mortgage payment to worry about, our budget lately has been tighter than ever, which has forced me to dig even deeper to save pennies wherever I can. As I mentioned in my last post, staying at home right now is a tough call, not just because I’d sometimes like to take up a part-time job just for my own personal growth and sanity, but also because we really could use the extra income. Note: You will notice I’ve used some affiliate and/or referral links in this, but I was not paid to write this post at all. Every one of these things is something I use and love, and I’m only wanting to pass along the savings! I would still encourage you to try some of these tips even if you didn’t want to use my referral links. 1. We’ve slashed our discretionary spending down to the bone. Before, we were able to allocate $50 a month for each of us to put towards our own “personal” use, which included things like clothes, books, cost of hobbies, gym passes (for me), etc. Later, when we knew we were about to go down to one income and needed to save more, we cut it down to about $20 apiece per month. Now, we just talk about any necessity or want that comes up and decide together if our budget can handle it. A lot of times, it means that we just don’t get new clothes or that I look around for secondhand things. We really don’t need as much as we think we do. 2. Whenever I do decide to indulge in some discretionary spending, I usually do it online, and I always use Ebates. 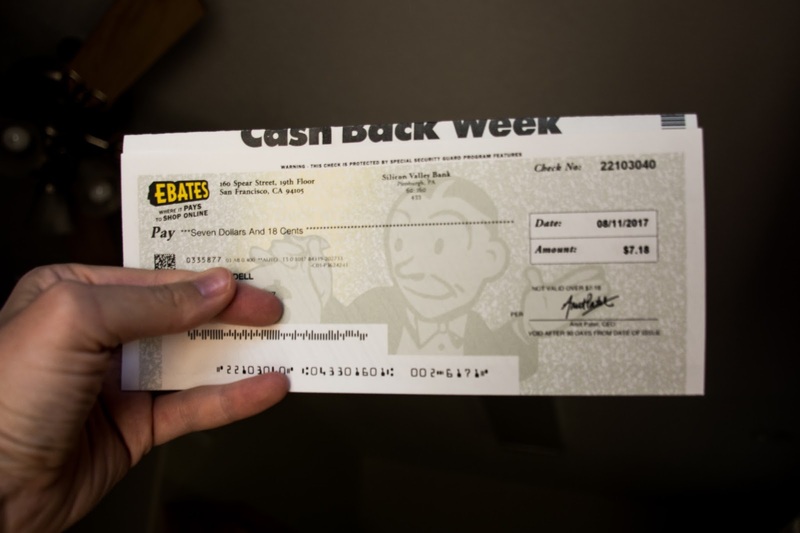 I can’t remember if it was my sister or my mom that got me into Ebates, but I was pretty hesitant at first–the whole thing seemed too good to be true, but I’ve now been doing it for years and love it. Basically, you sign up for an Ebates account and install their little icon on your browser’s tool bar. Every time you go to a participating online store (and there are a TON), the little window will pop up and ask you if you want to activate your cash back (usually between 1-12% cash back, though occasionally they’ll run specials up to 25% cash back). Then, once that’s activated, if you end up making a purchase, you will get that amount of cash back from your purchase. I literally just got a check today in the mail for a little over $7 from one of my latest purchases online. Sure, it’s only $7, but having those checks come periodically over the year (I’ve had some that are closer to $20) are always a help. If you’re interested, click my referral link here to sign up, which means that you start getting cash back for your purchases, and I get a small referral credit (at no cost to you). Also, if you go through that link, I *believe* that you get a $10 credit towards whatever online purchase you make next through Ebates, so a win-win for us both! This service has been especially nice when I’ve bought anything big online, like earlier this year when I splurged on a new camera. Not only did I get a good deal on the camera to begin with, but with my 1-2% cash back or whatever it was, I ended up getting an additional $15 or so “off” my purchase, when you factored in the money I’d be getting back. Win-win. – Although a lot of people think of groceries as a “fixed” amount each month, there is actually a LOT of discretionary spending that’s often done at the grocery store. So, if you’re tight on money, it’s much easier to look at that half-gallon of ice cream and recognize it as a want (or that bag of rolls that just looks good or that gallon of orange juice you hadn’t planned on getting but that’s on sale…) and not something you really need to get. We tend to eat MUCH healthier when we’re on a super tight budget because we just can’t afford to buy a whole lot of treats and processed things. – Don’t be married to a brand. This one can be super tough, but I try to just go for the cheapest brand or version of something no matter what, rather than sticking to just one brand all the time. A couple notable exceptions: I have accustomed myself to having really good salt for my cooking (I like the Diamond Crystal kosher salt) and pure vanilla (not vanilla extract) because I can taste the difference and to me, the extra expense is worth it. However, I still try to get these items on sale and/or in bulk to save at least some money. – I shop at a limited number of stores so that I know what a “really good” price on something is. Right now, I only shop at a bulk store (Sam’s Club), Walmart, and Smith’s regularly, and because I’ve shopped at those places for years, I know the usual prices on all the things that we purchase on a regular basis, so I try to plan out my trips based on that. (I also did a formal price comparison between all three stores, and even after thinking I knew the best prices at the different stores, the results actually really surprised me.) Sometimes I’ll hit up multiple stores on the same grocery day (like I did this morning), and sometimes I’ll just visit one of them in a week (or two), but I try not to buy anything there that’s not going to net me the best price. Therefore, if I know cereal is better at Smith’s (because of coupons and specials and such), I will not buy cereal at Sam’s Club, even if it means an extra trip to Smith’s later that day or, more often, me just waiting until the next week to buy that item. 4. I buy meat in bulk, when possible. Although we go meatless now a lot more than we used to, we still do have meat, so I try to be as economical as I can about it. One thing I’m saving for right now is a chest freezer to keep in our garage (I’m looking at this one on Amazon, which is a highly rated 7.1 cubic feet chest freezer for under $200!). I have loved living in our new house and love almost everything about it, but one thing that’s been hard is that we have a TINY freezer now, so in order to make sure that none of that meat goes to waste, we’re going to invest in the chest freezer, keep buying meat in bulk, and keep it in there until we’re ready to use it. Eventually, I want to look into a meat co-op where you buy a portion of an animal’s meat (like half a cow) through a local rancher. In the long run, I know people save a ton of money doing it that way AND you have meat on hand for months. 5. However, with buying meat in bulk, you do have to be careful about how you store it so that it doesn’t go to waste—that’s where my Food Saver comes in. When my mom asked me just before last Christmas if we wanted one of those as our joint Christmas gift rather than what we usually would get, I was totally all over it—but I didn’t realize HOW MUCH that glorious little Food Saver machine would save us money until we had it. And now we use it All. The. Time. Basically, it’s a personal vacuum sealer that you can use to seal up just about anything you could want so that it stays as fresh as it did when you first bought it, and it has kind of been revolutionary for us. Before, I would definitely freeze meat (just in the double-seal Ziploc bags), but the color of the meat always changed in the freezer no matter how careful I seemed to be, and the meat almost always got some degree of freezer burn on it. 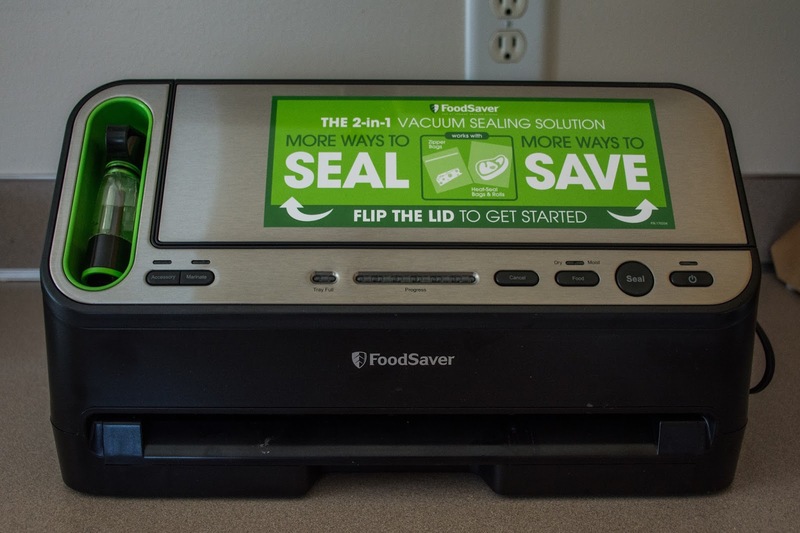 Also, the Food Saver allows you to reseal any bags you want (without vacuuming the air out first), so we’ve been able to keep stuff like tortilla chips or frozen vegetables fresher for longer too, since we can just seal them up as many times as we need. Seriously, this machine is amazing. 6. I’ve started scoping out the local classifieds or thrift stores when we have things come up that we need. I’ve never been much of a thrift store shopper, but ever since we started buying up storage sheds at auction and selling stuff on local classifieds, I have realized that there is SO MUCH good stuff on there, at a fraction of the price you’d pay in a store. Having sold a ton of stuff on those sites myself, I know that you can often find items that are in new or like-new condition for super cheap, just because the person wants to get at least SOME return on their money. It was thanks to an online classified ad that we were able to get the huge (and high quality) poster-size picture frames for our living room for only $5/apiece, and it was thanks to my mom posting on her local classifieds section on Facebook that we were able to get a lawn mower and three dressers for our new home, all for free (oh, and our dryer, too!). Shopping this way not only is much easier on the environment, but it also saves us a toooooon of money. 7. One thing I’m looking more into now that Raven is old enough to need her own plate of food when we do go out to eat is to look for restaurants where kids eat free with an adult entree. For years, there have been times where Matt and I have just split an adult entree (usually so we could leave a little room to split a dessert! ), so if we were to do that again, we’d have a super cheap meal out where we’d just need to pay for one adult meal (and possible a dessert, too, just for fun). While I don’t know of many places where kids ALWAYS eat free (okay, I don’t know of any), I know of several where kids eat free on certain nights, so if we’re able to be flexible when we go out, that’s the way to go. As per tip #1, we hardly go out at all, but we do try to set aside a little money for splurges every month, so this tip is an easy way of ensuring that the occasional meal out at a restaurant is almost always a feasible option! What are some things you’ve done to save money lately?